The Southern Naval Command launched ‘Operation Madad’ from Kochi on August 7, for assisting the state administration and undertaking disaster relief operations due to the unprecedented flooding experienced in many parts of Kerala, owing to incessant rainfall and release of excess water from Idukki and other dams. Based on a request received from Deputy Collector, Wayanad, one diving team with Gemini inflatable boat was airlifted and sent to Kalpetta on August 9 to undertake rescue operations due to floods and landslides. “Operation Madad” continued on August 10 with all resources available with SNC. 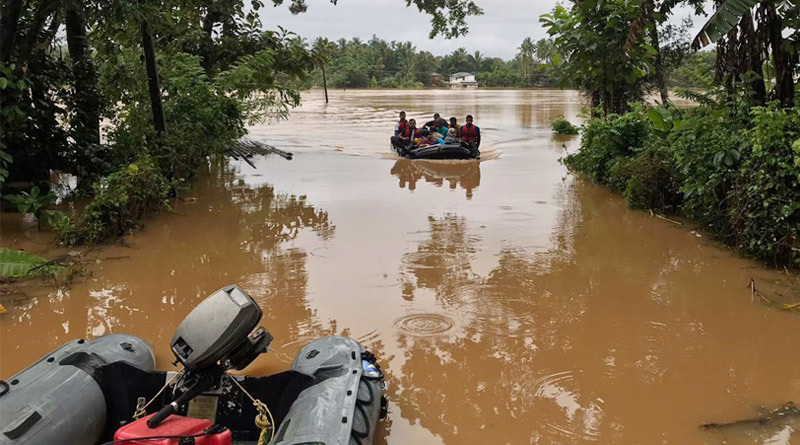 Two teams with Gemini boats commenced rescue operations at Kalpetta, Wayanad and at Panmarum (13 km south of Mananthavady) where they evacuated 55 stranded people till 12:00 noon on August 10. Another team has been air lifted by Seaking Helicopter to Kalpetta with all gears and 2 Electric Generators which was requested by Wayanad District Collector. Three additional diving teams have also been dispatched to Aluva in coordination with the Deputy Collector for utilization by District Collector in the affected areas for augmenting the rescue. One of the teams is likely to be deployed at Idukki. This is in addition to the two diving teams standby at Aluva for relief operations since August 9 in anticipation of flooding expected in Ernakulam and Aluva. In all 4 diving teams are deployed in Wayanad and 5 at Aluva. 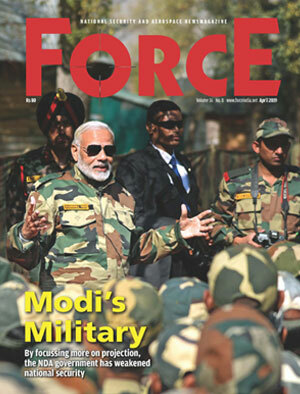 One 50 men contingent is positioned at Naval Armament Depot (NAD) Aluva fully equipped for any kind of assistance. In addition, the Naval Hospital, INHS Sanjivani is ready for rendering medical assistance as required and all preparations towards setting up community kitchen by naval personnel from INS Venduruthy have been made in case the need arises. Naval helicopters are also being deployed for ferrying divers, power tools, axes and relief material to the flooded areas to augment ongoing relief operations.